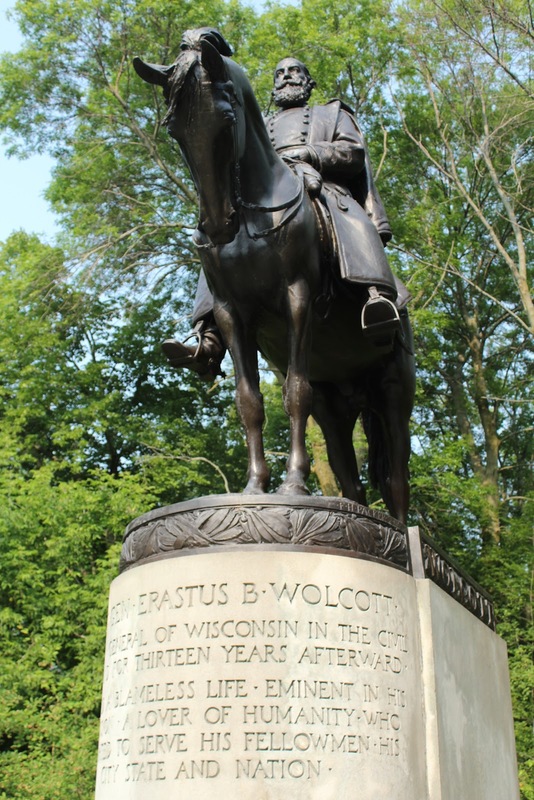 The statue is at Lake Park, alongside Oak Leaf Trail, a short distance from the parking lot for Bartolotta's Lake Park Bistro, located at 3133 East Newberry Boulevard, Milwaukee, Wisconsin 53211. NOTE: The above GPS coordinates will take you to the statue's exact location in the park. 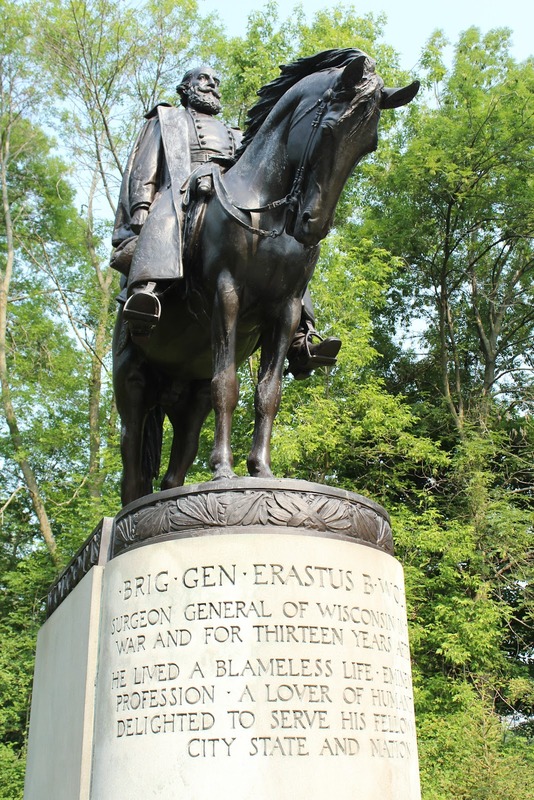 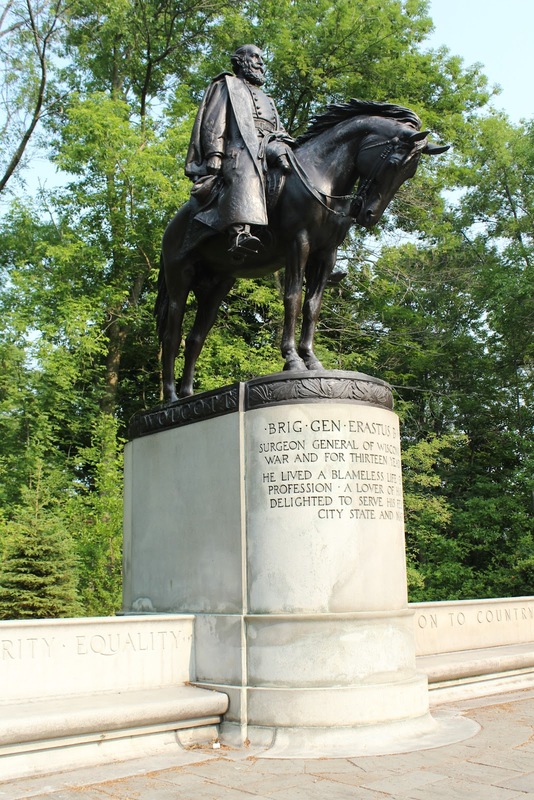 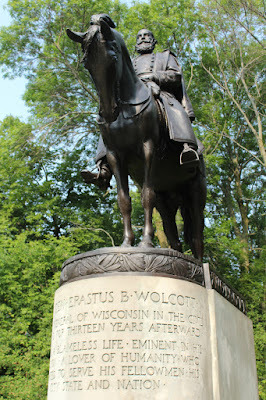 See also, Marker 182: Erastus B. Wolcott, in Milwaukee County, at a different location. 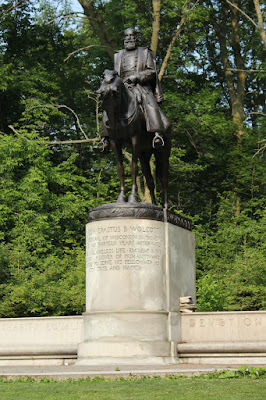 First photographed January 6, 2013.